Last week over on Facebook a friend nominated me to take part in the Facebook Art Chain and post an image of my work everyday for 5 days. I enjoyed taking part and looking back on previous work (especially looking back to college days) so I thought I'd share it here too! So this is the journey of my work from 2008 to today! I graduated from Colchester back in 2008 with a degree in fashion and textiles. Since starting to make things when I was little I've always loved to recycle, using all sorts of bits and pieces my Gran used to give me, and my work at college really cemented my Make Do and Mend philosophy. 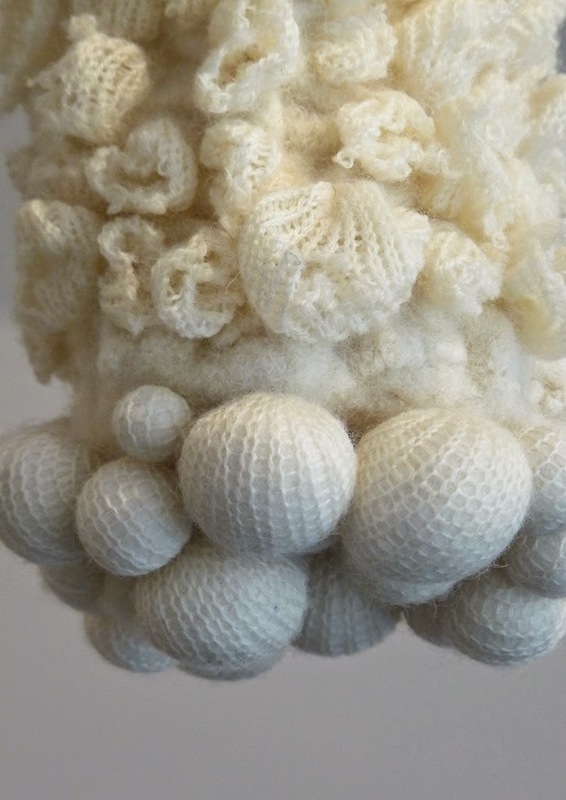 For my Graduate Collection I created an installation of three, three metre long cream knitted hangings. 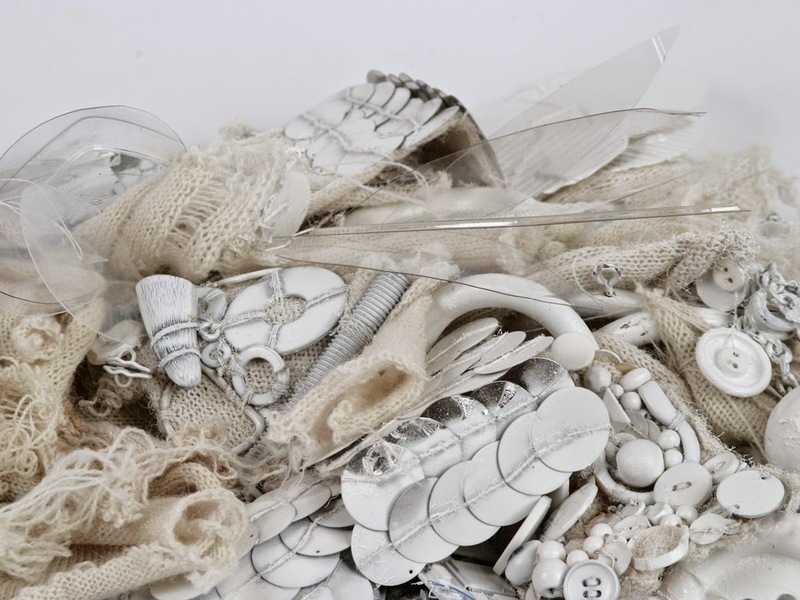 They hung from floor to ceiling and were embellished with all sorts of recycled and found objects, from meat hooks, to nuts and bolts, plastic packaging and broken glass, all of which I spray painted white. I really enjoyed looking back on this, it was stressful but such a great time! When I finished college I started making jewellery, like this knitted necklace embellished with found objects and spray paint, straight away. I wanted to capture the ideas from my Graduate Collection but in a wearable form. 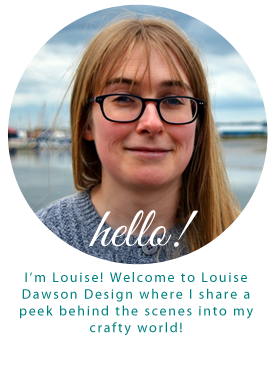 Louise Dawson Design jewellery was born! 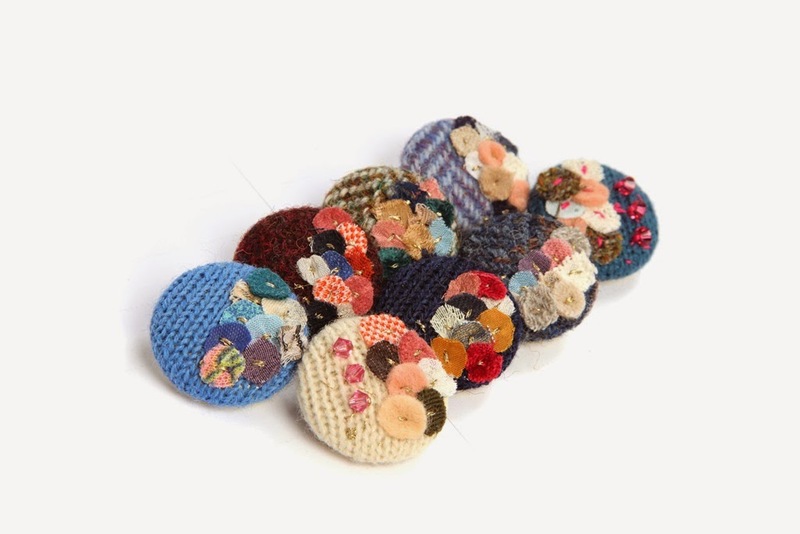 This is a selection of my knitted and Harris Tweed Button Brooches, embellished with a scattering of recycled materials. I first started making these because I didn't want to throw away leftover scraps of fabric, so I decided to make something with them! Thanks for indulging me on a little look back. I nominate you all to take part in The Art Chain and share your work too!